In the Google docs for search appearance filters - Android app is not listed there. 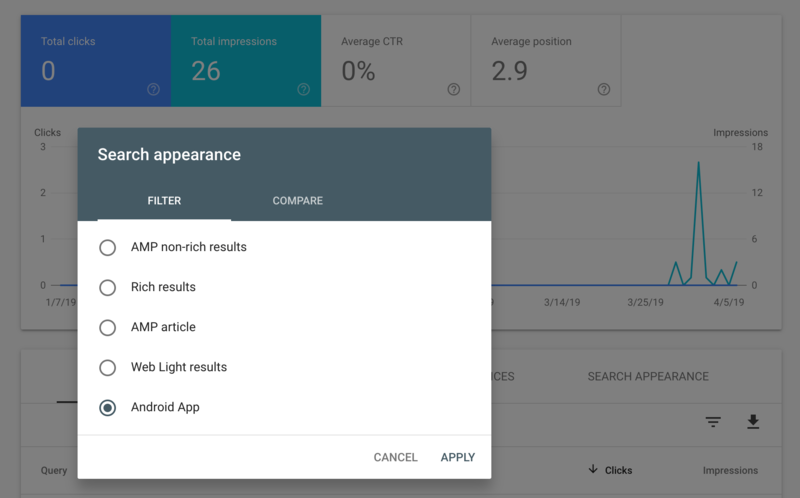 What are listed include AMP article rich results, AMP non-rich results, event, Google Play Instant, job listings, job details, media actions, rich result, search result link and web light result. So I guess this may be a new filter to show Android apps that lead to this? I am not sure if this is the Search Engine Roundtable app or other apps that cause this data to show? Update: Google just posted after this story went live - I pinged John Mueller about it, and they posted on Twitter that this is a new feature for sites that have Android apps associated sites their web sites - like we do.